Today, we're showing off Baaah Humbug. I really like how this card turned out! I stamped a lot of the tiny images onto a piece of white cardstock, colored them in red and white and then masked all of the tiny images (yup!) so that I could rub ink over the entire thing for that vintage feel. I used the stitched rectangle dies to frame out the base layer, and then started on the focal image. For all the red and white and brown on the card, I wanted a punch of something graphic for the sentiment. White heat embossing onto black cardstock does the trick every time. Welcome back to another day of Lawn Fawn inspiration! I have 2 projects to share today. The first is a different take on the pillow box add-ons, Santa's Belly. I made a Santa face! I used all of the same pieces to create him: the buttons became eyes, the scalloped pieces became beard and hat trim, and the belt was shortened tremendously to become his nose. I started out with a white pillow box, and added detail to it. First, I grabbed a skin-colored copic marker and marked off a rectangle that would become his face. I then die-cut a second pillow box in red and cut a piece to glue on top (for his hat) and another for his outfit. The back of the pillow box is still white. I think he turned out so cute! 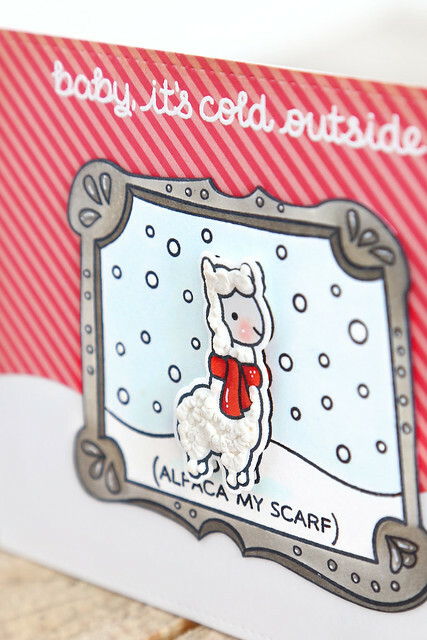 I also have a card to show off using the new set, Winter Alpaca. I paired him with an older set, Fanciful Frames. and added texture to the alpaca using liquid appliqué. When you heat that stuff up, it bubble a bit and is so perfect for fuzzy alpaca texture. My kids loved this set so much! 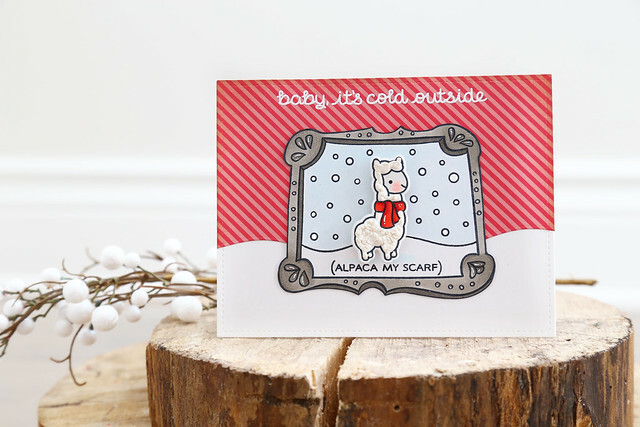 They've been giggling "alpaca my scarf" for weeks now! Hi there! I'm back with more for Lawn Fawn's September inspiration week. Today, we're showing off the snowglobe set, Ready, set, snow. I had some leftover gingham stamped cardstock (from yesterday's card) so I used it to create this banner-shaped card. I hope you don't think I'm lazy. I just loved the gingham so much! 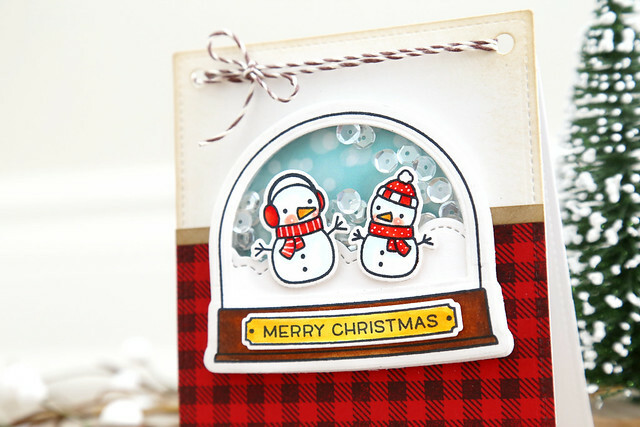 I used the shaker add-on dies to create this fun shaker element on the card. 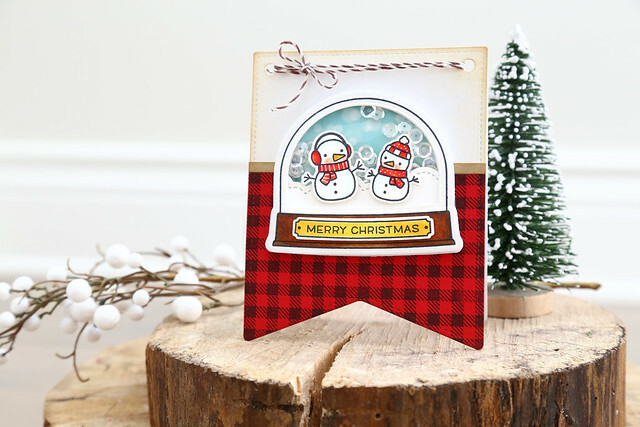 I used the puffy cloud border to create a waving snow bank behind them, and paper from the let's bokeh collection for the dreamy snowy background. I hope you like what I created today! 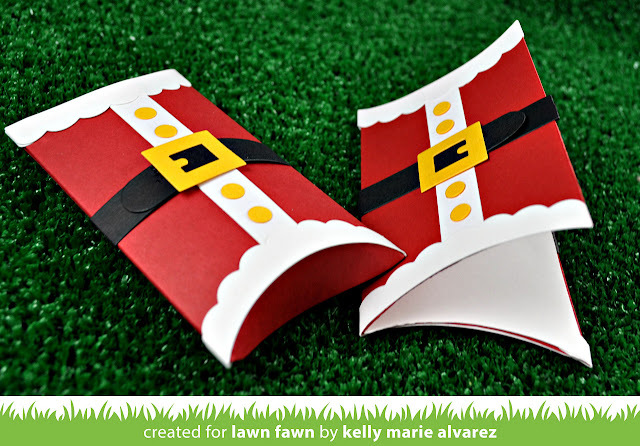 Visit the Lawn Fawn blog for more amazing projects - click! Hey there! 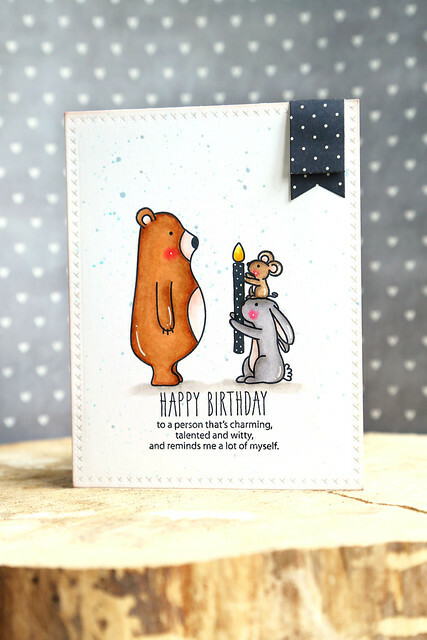 I'm so excited to be joining the Lawn Fawn design team for this month's inspiration week! 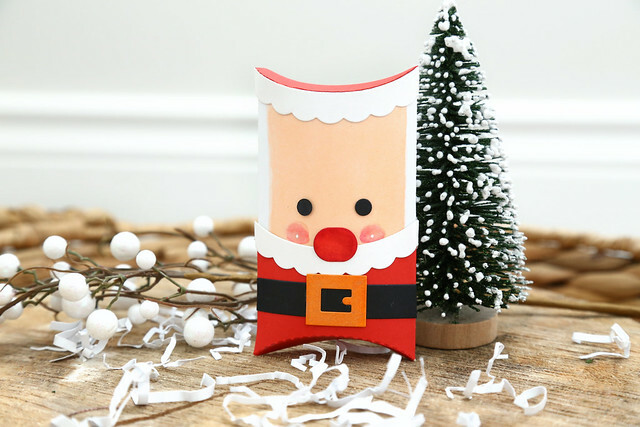 Get ready for a whole lotta cute Christmas stuff. 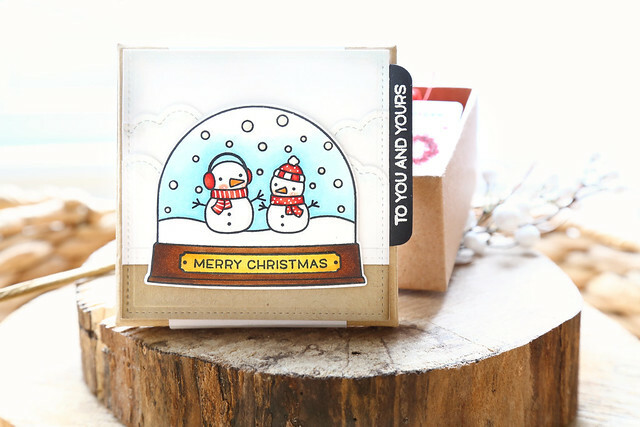 Today, we're showing off my favorite set of the entire winter release, Toboggan Together. I paired the images with a gingham background, stamped in black ink onto red cardstock. I can't even tell you how much I love it stamped like that! A little buffalo plaid never hurt nobody. Let's talk about layering stamped and die-cut images. If I'm going to layer images, I usually mask and then try to do the finicky die-cutting to get the whole thing cut out together (example.) Because, to my eye, I really don't like seeing the white outline where it's not supposed to be. Does that make sense? It will in a second. Look at the reindeer, and the rope that he's pulling the sled with. 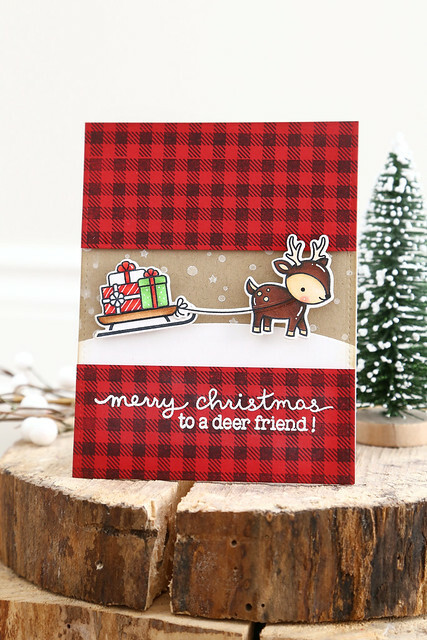 I made it look more seamless by stamping the reindeer image again onto the rope die-cut, coloring it to match, and lopping a tiny part off so that it sits snuggly under his reindeer head. What do you think? Worth the effort? For me, it totally gives an extra bit of polish to the images. 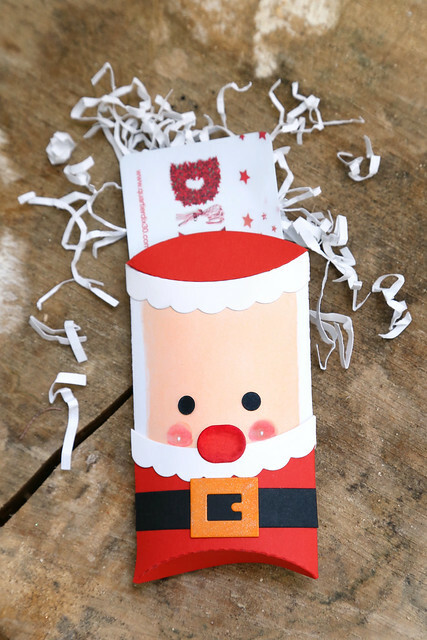 Visit the Lawn Fawn blog to see what the rest of the team created with Toboggan Together! Hi there! 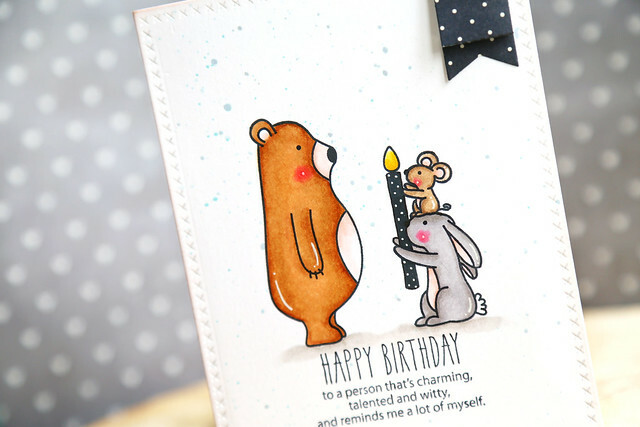 I'm popping in with a little almost-one-layer card today, using the Mama Elephant Birthday Wishes set. I paired it with the critters from Woodland Gifts. The bear's blank expression says it all. What'd you say to me? haha.